Will the Rooneys rid the Pittsburgh Steelers of Ben Roethlisberger? Now that the NFL Commissioner Roger Goodell has handed Ben Roethlisberger a six-game suspension, will the Rooneys decided enough is enough and rid the franchise of their talented but philandering quarterback? Big Ben might have taken the team to the Promised Land twice in recent years, but his off field antics have dragged the Steelers’ name through the mud, and three generations of blood sweat and tears from the Rooney family may not put up with that too much longer. The quarterback’s attorney was quick to release a statement Thursday saying Roethlisberger was keen to stay on with the franchise. "Ben wants to be part of the Pittsburgh Steelers, and we believe the Pittsburgh Steelers want Ben to be part of that organization," said attorney David Cornwell. The Steelers boss, Art Rooney II had no qualms with the suspension handed down to the face of his franchise for violating the NFL’s personal conduct policy. "I agree and support the decision the commissioner made, the discipline for Ben Roethlisberger," he said. "I commented last week that discipline was appropriate in this case and we were prepared to impose discipline if the commissioner felt it appropriate to go that way." Whether it makes things worse for Roethlisberger, Dan Rooney was stateside all week, as he could not get back to the Phoenix Park in Dublin because of the volcanic ash cloud. One can only imagine Rooney Sr. was not too impressed with recent events, and last week he refused to comment on the affair, which amounted to taking a step away from his quarterback. Throughout the years the Rooneys have built up a reputation of integrity and fairness, but have done so with a firm hand. 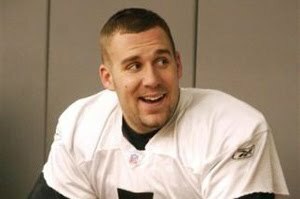 Roethlisberger has slapped the face of the organization, not so much by making a mistake, everyone makes mistakes, but by repeatedly putting himself in situations where the same mistakes can happen again. For the Steelers the question now is: What do you do after you have turned the other cheek?